Throughout history, Christmas has been celebrated by different cultures in diverse ways. In ancient Babylon and Egypt, there were mid-winter festivals that honored the ancient gods. The Romans celebrated Saturnalia, a festival dedicated to Saturn, the god of peace and plenty. During this festival, which ran from December 17th to December 24th, public gathering places were decorated with flowers and gifts and candies were exchanged amongst slaves and masters. In Scandinavia, a period of celebration known as Yule was held each winter at the end of the growing season. During this time, the population feasted on the summer's bounty. The Celtic culture of the British Isles revered all green plants as symbols of fertility and contributed celebrations revolving around the decoration of homes with mistletoe and holly. New Christmas customs appeared in the Middle Ages. The most prominent of these was the carol. By the 14th Century, such Christmas songs had become associated with the religious observance of the birth of Christ. In Italy, a tradition developed of re-enacting the birth of Christ and the construction of nativity scenes. The tradition of celebrating Christmas by decorating an indoor tree was established by Queen Victoria of England, while the author Charles Dickens popularized the idea of having a Christmas feast through his writing. This is the famous Mr Bean turkey sketch. In this hilarious clip, Mr Bean tries to cook a christmas dinner for him and his girlfriend but gets the turkey stuck on his head. From 'Merry Christmas Mr Bean'. Since I know your going to be filling up those stockings with these helpful tips, you’ll put Santa to shame. Anyway take a look and see how easy it is to make your own photo ornament. And yes, you do have room for one more ornament on your tree. Here are several Christmas songs that most of them were made in 2009 that you might not have heard of or the Artist. Just select a song, click on title and listen. To get back to the blog just click your back arrow button at the top left of your browser. Inception is a 2010 American science fiction film written, produced, and directed by Christopher Nolan. The film stars Leonardo DiCaprio, Ken Watanabe, Joseph Gordon-Levitt, Marion Cotillard, Ellen Page, Tom Hardy, Cillian Murphy, Dileep Rao, Tom Berenger, and Michael Caine. DiCaprio plays Dominic Cobb, a specialized spy or corporate espionage thief. His work consists of secretly extracting valuable commercial information from the unconscious mind of his targets while they are asleep and dreaming. Unable to visit his children, Cobb is offered a chance to regain his old life in exchange for one last, almost impossibly difficult, task: performing inception, the planting of a commercially damaging idea into the mind of his client's competitor. David Fincher drama was named best picture at the 2010 Florida Film Critics Circle awards. The feature also won honors for best director and best adapted screenplay for Aaron Sorkin. "Inception" took home the most prizes from the org with four wins for original screenplay, cinematography, visual effects and art direction. Check out the trailor to INCEPTION below. It's AWESOME! What is Digital Copy? It's a product (DVD or Blu-ray disc) that includes either a disc with an additional digital file of the film or TV show or a code to download the file online. You can transfer this file onto your computer or portable media player. Man it's cold!!! It's 29 degrees where I am and the wind chill is 20! Well for me the first thing I want is soup, tea or oatmeal! And remember you can always add other ingredients to your tomato soup to make it more heartier like ham, shrimp, veggies, crackers or anything that you like. 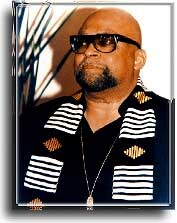 ﻿ Doctor Maulana Karenga, a Professor at California State University in Long Beach, California, created Kwanzaa in 1966. It is a holiday celebrated by millions of African-Americans around the world, encouraging them to remember their African heritage and consider their current place in America today. Kwanzaa is celebrated fom December 26 to January 1 and involves seven principles called Nguzo Saba: Umoja (Unity), Kujichagulia (Self-determination), Ujima (Collective Work and Responsibility), Ujamaa (Cooperative Economics), Nia (Purpose), Kuumba (Creativity), and Imani (Faith). This is a Christmas classic cartoon and it's sad﻿ that they don't make them this simple and fun anymore. Rudolph - Silver & Gold Video will always give me and other's like me joy and fun watching this video for Christmas. Kids today don't really know what Christmas is all about and how much fun they are really missing. After the video is finished you can see other musical numbers from the movie Rudolph. Enjoy this moment. A great way to interact with the family is re-enacting the 12 days of Christmas. There are ways to do this without being exceptionally literal, but it’s a great tool to energize the family for the holiday season. As the 12 days are literally the 12 days between Christmas and the Epiphany (25 December to 6 January), it’s a great time for education. The 12 days technically don’t lead up to Christmas; however, this shouldn’t stop the family from recognizing its significance. Traditionally, Epiphany is the day the Three Wise Men presented their gifts to the baby Jesus. That being the case, in traditional recognition of the 12 days, families give gifts on 6 January as opposed to 25 December. The twelfth night –usually 5 January– signifies the removal of all Christmas decorations and is celebrated with a great feast. Nowadays people are finding ways to save money and one way would be to make your own ornaments out of clay. This can also be a way to something fun with the whole family. It would help to get your family in the holiday spirit if you and your family make the ornaments together. Oh boy here comes the pounds! I am a nut for brownies, but this one takes the cake! I found this peanut butter banana brownie recipe and made it. All I could say is that I must have gained 10 pounds. Yum, yum, yum! Don't be a glutton like me just eat in moderation of about maybe two pieces? Use canned pumpkin puree, freshly prepared puree, or frozen puree which has been thawed. Cold leftover pancakes is a great snack for the kids. This is a quick easy pumpkin pie recipe. Which is perfect for the holidays or anytime you want pumpkin pie to please your taste buds. Pumkin is also good for you because it comes from your orange food group. Pumpkin is loaded with an important antioxidant, beta-carotene. Beta-carotene is one of the plant carotenoids that converted to vitamin A in your body. In the conversion to vitamin A, beta carotene performs many important functions in your overall health. It's seventeen days until Christmas. Did you get your Santa Suit? Well don't waite until the last minute or they will be gone! Do you have one from last year? Check it and may sure it's in good condition. If not you'll find various Santa suits of styles and sizes here so you will get it in time for Christmas. Now that we know that dark chocolate is good for you. I would suggest dark chocolate for this pecan pie recipe. 2. Add the eggs, sugar and dark corn syrup to a mixer bowl. 3. Attached with a flat beater, turn to speed 6 for 1 minute then stop and scrape the bowl. 4. Reduce the speed to 4. 5. Gradually add melted, unsweetened chocolate and beat for 1 minute until well blended. 6. Reduce the speed to stir and add pecan halves. 7. Now pour the mixture into an unbaked pie pastry shell in an ungreased pie plate. 8. Bake for 35-45 minutes or until slightly soft in the center. If your a blogger like I am or you have your own website and you need graphics or better known as pictures or images. Then I have found what you what you are looking for. You can get over 1500 graphics from this site. New and old vintage graphics. I was tickle pink when I found this site because it was just what I needed for my blog. While I was on the internet yesterday looking for unique Christmas gift ideas I came across Lighted Christmas Glass Blocks. I seen these lovely creations and said to my self, I could make that but how? Well, I kept digging until I found an eBook that explains everything. Including how I could even start my own business if I wanted to. If you think this is something you would like to do then here is the site where you can get your own eBook for making Lighted Christmas Glass Blocks. WOW! Since the early 70's I have watch this cartoon classic (I am 50), I could not care less, it is a nice clean cartoon for the whole family, ain't no stupidness, sillyness, just a happy cartoon that I still watch﻿ it 30 years plus later. I will continue to watch it as long as I have eyes and the young in my heart and the girl in my mind of when I was a kid to enjoy things because you do grow up fast. Just a wonderful cartoon! Everyone loves Precious Moments. But, did you know they had a Precious Moments Xmas Doll? Sweeten your Yuletide décor with this lovely little doe-eyed darling! She shimmers in her satin and gold gown sprinkled with sparkles, and even comes with matching stocking and hair accessory for the holiday. Get two, one for yourself and one for a gift. Put her on your tree or have her on your fireplace. So you have your tree up and now it's time to wrap up the gifts. Oh, joy! Wrapping gifts can be a bit of a challenge for some people. Here Marissa demonstrates in this video and shows you each step clearly so that even the clutziest of us can follow along. Text directions are included under the video, but it's easier to understand by actually seeing the process in the video. ﻿ If you have children and you need to keep them busy while your doing housework or something else. Then you might want to get Quick Crafts for them. Quick Craft has over 750 craft activities for you to print out for your child. Keep them busy while you work. Or get this for the mom who you know who needs a break. Man I wished they had had this out when my children was young.